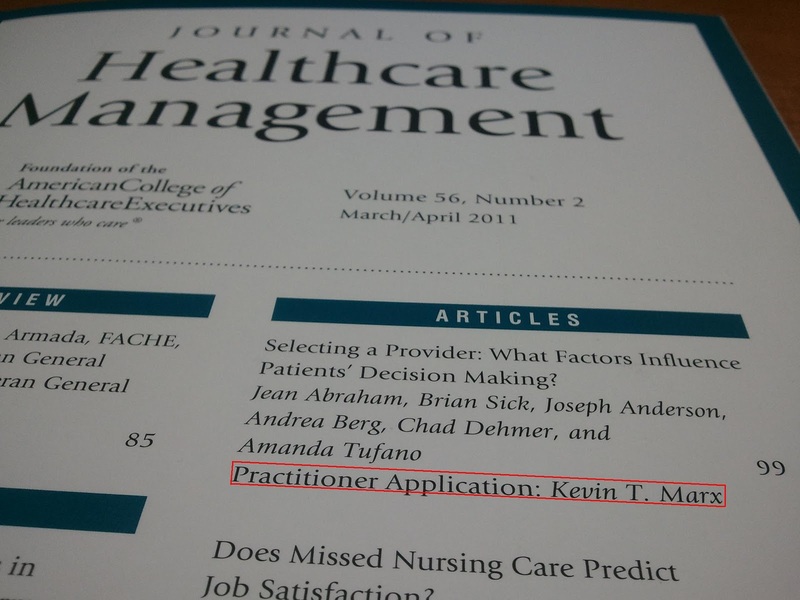 The Journal of Healthcare Management recently featured an article by Kevin Marx regarding the Practitioner Application of a research article titled “Selecting a Provider: What Factors Influence Patients’ Decision Making?” It’s an impressive feat to be published in this Journal, and we congratulate Kevin on his excellent work! Congratulations Kevin — from Medical Imaging! !